s arranging a second cycle tour which was to be held on Sunday 18th November and would be setting off from Çamlibel, through Tepebaşi and finishing in Koruçam. 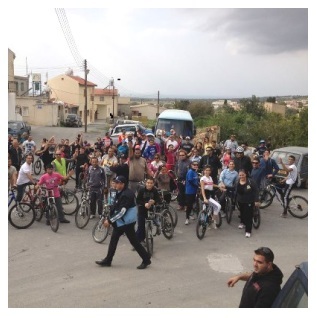 I have received news of the cycle tour where the participants met at the Akcan Cycle Shop in Alsancak and were transported by minibus, with trucks for the bicycles, to the starting point in Çamlibel and were returned to Alsancak at the end of the tour. This was all arranged by the Lapta Belediyesi, Akcan Cycle Shop and Berke Ertopaloğlu. e tour, when around 60 people stayed for lunch at Yorgo Restaurant in Koruçam, everyone was asking when the next cycle tour was to take place. The weather was kind and the rain held off until after everyone got home so that was a bonus, especially at this time of the year. Berke said that everyone enjoyed the cycle tour and the lunch at the end and he is now starting to think about the next tour. 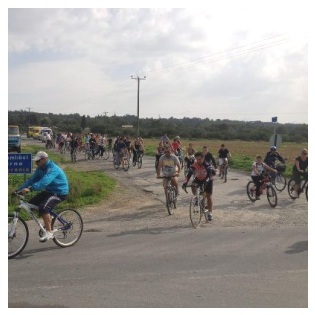 I think Berke and the Lapta Belediyesi are well and truly at the forefront of promoting their area to its maximum potential, so well done Lapta and of course to all the cyclists who took part. What’s the latest bailout news from Cyprus on 18th November?